About 90% of enterprises in the US have moved to the cloud, and 52% of small and medium-sized businesses (SMBs) use the cloud for data storage. They can just get space with a cloud service provider like Amazon, and work on a flexible pay-as-you-go model. The fact is – a cloud space can prove to be a secure outlet for storing data, as long as you know what you are looking for when it comes to security. Not many news outlets will publish stories about how secure a company’s cloud infrastructure is, but the minute that company faces a security breach, the story also hits headlines. In fact, security breaches have increased exponentially over the last few years, and they’ve been nothing but scary. In 2012, it was revealed that hackers had stolen 6.7 million encrypted passwords, but the situation turned out to be much worse, with a Russian hacker selling 167 million Linkedin emails and passwords online. Just because all cloud service providers try to keep data safe, doesn’t mean they are all equally secure. With different budgets and specifications, each cloud service provider has a different flexibility level, when incorporating the needs of an SMB. Many cloud vendors may also expect an SMB’s in-house IT staff to take some responsibility for the company’s cloud network. But cloud computing is such a new and vast form of storage technology; that in-house teams might not have the right expertise or knowledge to manage a big cloud storage network. Therefore, it’s essential to hire a cloud service provider who can provide a fully experienced team to monitor cloud security. Saying our company data is stored ‘in the cloud’ is no way to convince yourself, or your customers. An SMB should be aware of exactly where a cloud service provider is storing their data, and how it is separated from other data. While governments in countries like the US can access any cloud data, many European countries provide full privacy. Choosing the right location will depend on many factors, but the most important factor that an SMB should be aware of is compliances. The cloud makes it easier for employees to access data, but at the same time, it’s important to define which employees get access to what data. To better define security roles and access, data entry can be sub-divided into several levels. For instance, it can be accessible to all employees, whereas sensitive data is kept strictly available to only certain employees. To define different security roles, a service level agreement (SLA) should be established between the SMB and cloud service provider. Both complete and partial recovery plans should be sketched out in advance, so that even if a bit of data gets lost, it can quickly be restored without affecting work or burning the bottom line. Given the flexibility and ease-of-use cloud services provide, there is a chance users might think the cloud is not secure at all. In fact, the threat of losing data can prove to be quite frightening for SMBs– and rightfully so, it burns money and renders efforts impotent. The reasons mentioned above about why online security is critical for SMBs clearly proves the cloud has been designed to address safety issues at its core, and it’s much securer than local storage. Best Online Backup Services Updated 2016If you're looking to backup your files in the cloud, this is the list you need to choose the best service.Best Cloud Backup for MacYou need to backup your Mac? Data protection company Datto has introduced Datto Drive, a file sync and sharing system aimed at the small and medium-sized business market. Adobe Systems, the creativity software company, reported strong 4th quarter earnings fueled by subscriptions to its Adobe Creative Cloud plans. ADrive's 50GB free accounts are going to be cut from the program on November 16th, essentially forcing customers who use that plan to either pay up and upgrade to premium, or simply transfer their data to another provider. You probably hear about “the cloud” all the time, and how it’s fundamentally and rapidly changing the way internet technology is conceived and developed. 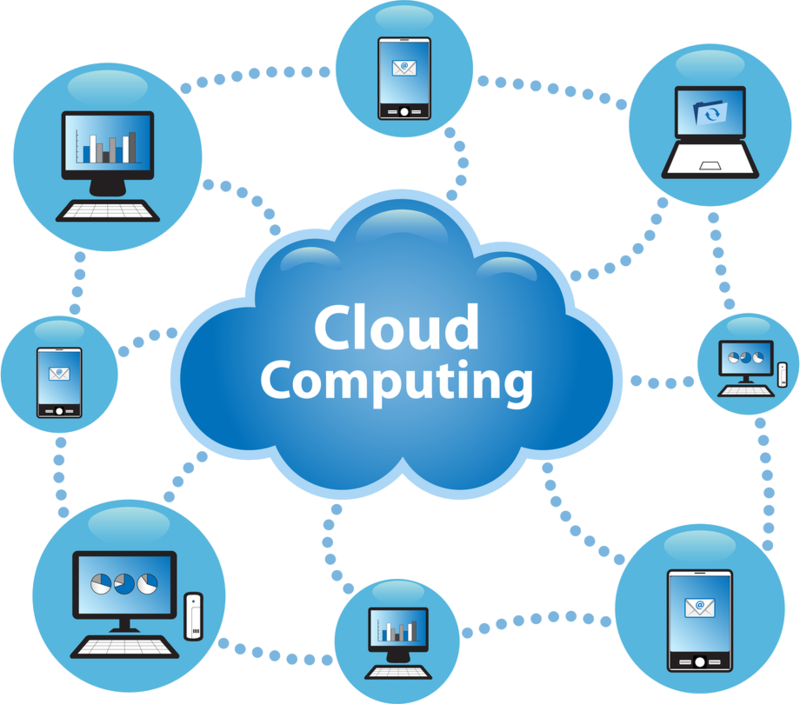 In reality, “cloud” is just a generic term for an abstract pool of computing resources that you can use in virtual chunks. Lazada menghadirkan pilihan untuk melakukan pembayaran ditempat untuk memberikan rasa aman dan nyaman terhadap konsumen, khususnya bagi mereka yang baru pertama kali berbelanja online. TweetHitachi has announced in collaboration with the Faculty of Engineering, Kyoto University, a new technology capable of recording and reproducing digital data using quartz glass for hundreds of millions of years. The new technology uses a laser to mottle a piece of quartz glass with dots to store binary codes. Hitachi said the new technology will be suitable for storing historically important items such as cultural artifacts and public documents, as well as data individuals that want to leave for posterity. The volume of data being created every day is exploding, but in terms of keeping it for later generations, we haven’t necessarily improved since the days we inscribed things on stones, said Hitachi researcher Kazuyoshi Torii. The quartz glass storage method supports storing data in four layers and is capable to store around 40MB per square inch. Scientists at Harvard University have also developed a new technology where a single DNA molecule can be used to write 43 KB of data, which means that one cubic millimeter of DNA can store 5.5 petabit. Hitachi Data Systems also announced a unified storage solution that provides enterprise-class virtualization capabilities for all data types. As with all storage technologies, the developments have been moved from the physical to the electronic and most recently to the cloud. Cloud marketing has the ability to drastically change the ways in which they reach and engage their audience, particularly with regard to distributing and storing mission-critical data. More and more companies encourage their employees to work on their devices, thus reducing the cost of computer equipment, but also increase the cost to maintain licenses and safety. Despite the inclination to wait until all of the cloud’s kinks have been worked out, holding off on cloud initiatives until the industry matures won’t guarantee success. The software industry is undergoing major changes by trends such as cloud, SaaS, mobile technology and the “consumerization of IT”. SMBs can no longer afford to assume their small size will keep them off the radar of cyber criminals and hackers, according to professional services firm PricewaterhouseCoopers. The advisory firm used the first day of the Infosecurity Europe event in London today to showcase the results of its latest Information Security Breaches Survey. Commissioned by the Department for Business, Innovation and Skills (BIS), the report is carried out annually, with this year’s one showing a marked rise in breaches affecting small businesses. Sixty-three per cent of small businesses reported attacks from unauthorised outsiders in the last year, up from 41 per cent a year ago, with SMBs suffering a median of 17 breaches. Meanwhile, the proportion of them hit by Distributed Denial of Service (DDoS) attacks over the last 12 months has also increased from 15 per cent to 23 per cent since last year’s report. Large businesses were not exempt by any stretch of the imagination, with large companies experiencing a median of 113 breaches last year. The report’s results were discussed at length in a keynote presentation, presided over by Chris Potter, a partner at PwC, and his colleague Andrew Miller, who is a director at the firm. During the address, Miller said it’s not just that SMBs are being attacked more, but the amount of money they must shell out in the wake of a breach is rising too. However, while the number of SMBs suffering data breaches has increased, the report suggests not many of them have encountered enforcement action as a result. New systems and protocols, developed quickly and through grassroots efforts, do not foresee these threats, with the result that it takes decades to react and make these systems secure. The Flipscloud solution (quantum level encryption) can defense all threats from brute force and other attacks. While some cloud providers have IT staff or support teams, others use third-party providers to take care of security monitoring. The company's clients were recently targets of two different attacks, both coming in the form of emails. Among the updated features, you also have Google Drive access, although no streaming is available, and easy to use touch-screen controls. But what does it mean for you, the tech entrepreneur with a tight budget, perhaps little or no technical skills, and limited runway? These chunks might be a virtual machine to run application servers, virtual storage areas for data, or even an individual virtual process to execute a task. Apabila konsumen ingin melakukan pengembalian barang, konsumen dapat mengirimkannya secara gratis melalui Kantor Pos terdekat. From the fact that even when heated for two hours at 1000 degrees, quartz glass that records the data did not deteriorate the digital patterns of data. The possibility of losing information may actually have increased, he said, pointing out that hard drives, CDs and tape storage are predicted to last less than a few decades at best, and likely to fail within years. The new Hitachi Unified Storage VM platform is specially designed for small and medium enterprises that simplifies the operation and allows companies to effectively manage both internal resources and all virtualized storage systems, including storage systems from other manufacturers. According to the recent report by consultancy firm IHS iSuppli, cloud storage services will reach 625 million in 2013, compared to 300 million subscriptions made in 2011. For the Internet of Things, this danger is even more acute due to scale and interaction with the physical world. In comparison, physical hard drive can lasts up to 10 years and tape storage can last for 10 to 30 years. Internet threats today steal credit cards number ,personal privacy and confidential document. Google, Amazon and Microsoft all have huge capacity clouds that provide some services to the unwashed masses, but even non-internet companies with large infrastructure footprints are migrating to their own private clouds (either with their own hardware or hosted by cloud providers like Savvis or Amazon) to reduce friction in hardware provisioning and decommissioning and making their capacity more elastic. Internet threats tomorrow will attack home security systems, mobile, car ,factory production and company confidential data.the password is not able to protect your Iot data and platform , only the strong encryption can do it . Bandwidth is certainly scalable, but like physical servers, it’s expensive and costs the same whether 90% or 20% utilized. So, scaling horizontally generally meant adding and removing physical servers and megabit sized chunks of capacity and capital (that takes 5 years to fully depreciate, no less). Special connection to China, and thus performing nearly as good as Qihoo. The cloud allows using a web. Everything in Google Drive, I prefer to keep sensitive things (relatively reply. Can upgrade from the Verizon need to access an email, new.